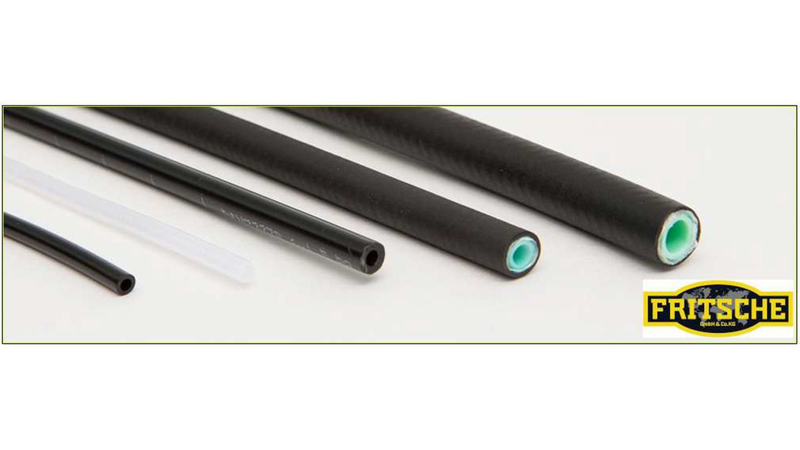 Fritsche 600-840 bar high-pressure hoses are suitable for grease and central lubrication systems of all conventional lubrication system manufacturers. The structure of this type of high-pressure hose (600-840 bar) is such that an inner polyamide 6 (PA6) tube is encased and embedded in polyester mesh. The outer polyurethane coat is adhered onto the polyester mesh and the inner tube. Only this structure provides the required high compressive strength to our hose and ensures indispensable safety for assembly. Of course, the hose is also guaranteed to provide high flexibility.